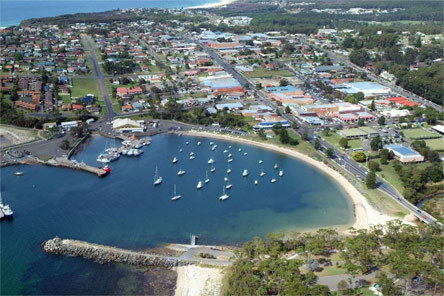 Ulladulla is a beautiful coastal town located on the Prince’s Highway 3 hours drive South of Sydney and 2 ½ hours East of Canberra. Perfect for a weekend away or for the ideal family holiday with its balmy summer and generally mild climate. It is a modern yet relaxing centre with great shopping, entertainment, clubs, take-aways, wineries and restaurants. The harbour provides a stunning backdrop with its large picnic areas, BBQ facilities, and a kiddie play area on North Head. The breakwater is ideal for a stroll to check out the fishing fleet, buy some fresh fish, or just cast your own line into the beautiful blue waters. The highway passes within metres of the water and looking down onto the harbour as you arrive in Ulladulla is a sight you will never forget. 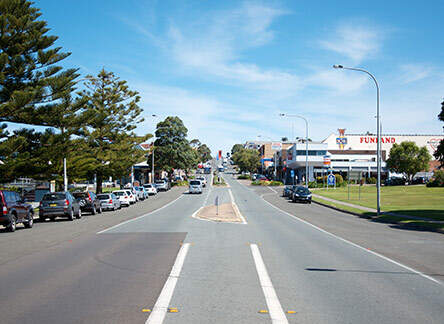 This rich seaside region includes Milton, Narrawallee, Mollymook and Burrill Lake - a gorgeous, vibrant strip with its surrounding farmland and scenic mountain backdrop. There is a multitude of sports including surfing, fishing, golf, bowls, tennis, rugby league & union, soccer, cricket, touch footy, little athletics, netball, basketball, oztag, swimming, running, ten-pin bowling, bushwalking, horse riding, snorkelling, diving, canoeing, body boarding, water skiing, windsurfing, wakeboarding, kite surfing, 4 wheel driving, pushbike & motorcycle riding, mountain biking, hiking and boating. The main beaches are patrolled in the season. There is a multitude of uncrowded private sandy beaches, inlets, rivers, magnificent lakes and bays providing incredible water experiences. Bombies, rocky points and sand bars provide numerous fishing and surfing opportunities all year round. There are numerous safe boat ramps in the region. The Budawang ranges provide untouched scenic drives and walks with numerous creeks and walking tracks for that ultimate serene country experience. Tabourie museum is always worth a visit for some amazing artefacts. The North Head of Ulladulla has the fascinating and unique “One Track for All” aboriginal walk with carvings and witty commentary from local elders, for all to enjoy while taking in the breathtaking coastal views from the headland viewing platforms. There are world class fossil walks around the harbour headlands. 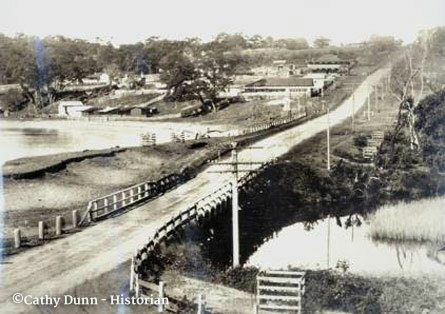 Ulladulla is Aboriginal for ”safe harbour.” Rev Thomas Kendall first settled the area in 1828 and in 1859 the first jetty was built. Goods and produce were shipped to and from the district by steamer. Shipbuilding thrived in the 1840’s. A large Italian fishing fleet developed with over 30 boats operating at its peak. These days a smaller fleet continues to fish all year round, providing quality fish from our pristine waters, to the Sydney markets. Other industries include forestry timber, sawmilling and dairy & beef farming, but the modern town has more of a focus on tourism as people return year after year to the area to enjoy its unspoilt waterways, mountains, parks and beaches.